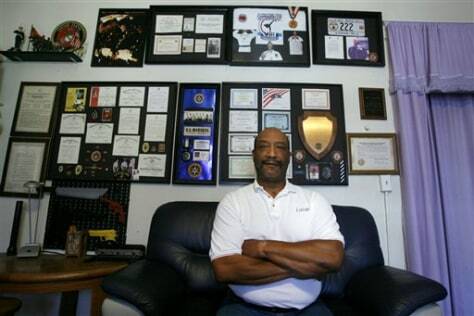 Allan E. Lucas, Jr., a licensed firearms instructor in Washington, is seen in his office in Washington on Tuesday. Lucas has been trying for two years to open an indoor shooting range in the city to train security guards and other clients. Because the city currently has no zoning category for such a business, he takes his clients to ranges in the suburbs. "It's pretty ridiculous to think of so many people qualifying to register for firearms and not having a range to practice on," he said.